To celebrate 50 episodes of Crucible Radio, Birds Bones and Swain invite fellow podcasters Aer0knight and Cyborg Sasquatch on to the show, hosts of the Destiny Reset Podcast. 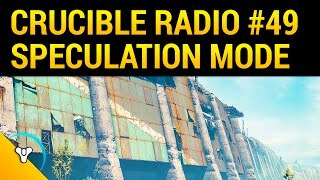 They talk podcasting, Iron Banner, and how to find the right clan. Thanks for listening to 50 episodes!